Winter in the Himalayas is a great time of year for photographers, festivals and brilliant sunshine. 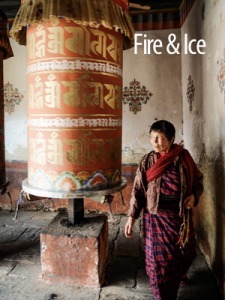 Join Ewen Bell and Ian Rolfe for a journey into photo journalism and Bhutanese culture. 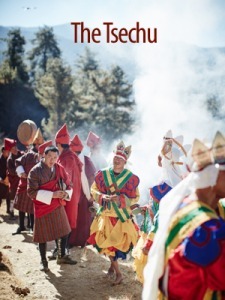 The festivals of Bhutan are one of the most unique photographic experiences in Asia. Immense colour, drama and culture. This tour explores both the intensity of festivals and the peacefulness of the countryside. Avoiding the easy to reach festivals of Paro and Thimphu we head east to Bumthang. Along the way the itinerary gives us time to learn about Bhutanese people and traditions. The highlight of this journey will be Trongsa Dzong and their annual celebration. Join Ewen Bell and Ian Rolfe in 2019. As always the group size is limited to a very small number of people, just 8. We wont be spending all day driving across the country, but will have time as a group to talk about our work, discover new techniques and share some one-on-one time to help you with your creative journey. 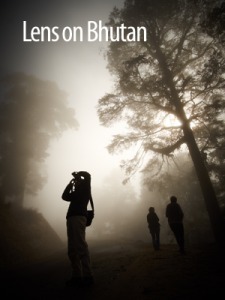 Think of this Bhutan tour as a festival of photography, not just a festival of the spirit. 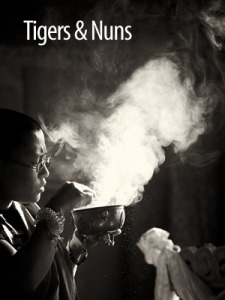 The tour starts and finishes in Bangkok, and includes ALL meals and the return flights between Paro and Bangkok. Our Bhutan trip starts in Bangkok, where we meet on the evening of day 1 before flying into Paro the next day. The airfare into and out of Paro is included in the tour. We have an early morning flight to Paro and then a slow drive through the countryside to get familiar with the landscapes. Normally this drive takes about 1 hour, but with a group of photographers we like to take all afternoon. Once in Thiumphu we'll get acclimated to the pace of life in Bhutan and visit some local spots for photography and discussion. Punakha has one of the most beautiful Dzongs in the entire country and we'll explore it from every angle. Several other temples in the area offer unique photographic charms too and the village of Chimi is a particular favourite for sunrise. This secluded valley gets really cold at night but we'll be cosy in a farmhouse with log fires and hot stone baths. The valley still continues with a very basic rural style and offers us a chance to really slow down and contemplate the art of photography. This drive is beautiful and dramatic with lots of scenic stops along the way. Trongsa is the highlight of the journey with my favourite Dzong of all Bhutan dominating the view. The chance to see monks engaged in their traditions is excellent, and there's often a chance to see monkeys engaged in mischief too. Bumthang is worth visiting regardless of festivals, but the presence of two unique festival events on the calendar makes it even better. 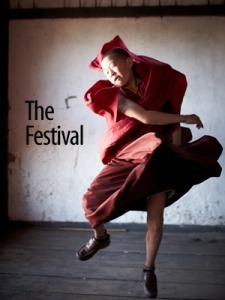 No two festivals in Bhutan are the same and each day of dance is a new experience and new opportunity. They are spectacular, and a little challenging. We’ll have time to talk about techniques plus reviews to help us advance our skills and try again the next day. There are many other around the Jakar valley and we’ll have a chance to visit some of the quiet ones. We return back to Paro for a little pampering in the most scenic valley Bhutan has to offer. We'll get up close to the scenery in a serious way by ascending the trail to the Tigers Nest. It's a steep climb but we take it slowly and have the entire day ahead of us. The Tigers Nest is remarkable, a fitting highlight to finish our journey. We leave Paro on an early flight into Thailand, hoping to arrive in Bangkok before 8pm. Exact details of our departure flight may vary according to weather conditions and we recommend you do not book onward flight from Bangkok until late evening on day 16 or plan another night or two in the city before flying home. And why not, Bangkok is a great city! Please note that the itinerary here is subject to changes at any time, as is the nature of the festival calendar and logistics within Bhutan. The itinerary is offered in good faith, and we'll do our best to ensure you don't miss out on anything special :) This is not a trekking tour and the altitudes covered during the itinerary are not high enough to worry about altitude sickness. The hard section is hiking to Tigers Nest, but this is completed at the end of the tour when you have had a chance to adjust to the conditions and gain a little practice on climbing trails! What's included for this trip? All meals in Thailand and Bhutan, the Bhutan Visa fee, your return flight between Bangkok and Paro, all transfers in and around Bhutan, the mandatory Tourism Development Fee, the Bhutan Government Taxes (35%) and all entry fees to temples & monuments. What's not include? Drinks, laundry, phones, the internet and your camera! You may notice that I don't use private cars on my Bhutan trips, I use a nice big bus instead. If you want all the details on why this is so, please read my short post on the topic below :) Spoiler alert, a big part of why buses are better have to do with how many people are considered a "small group". Read more on why "The Bus Is Better"
"My name is Ewen Bell and I love photography. Bhutan is one of those places I love returning to, reuniting with my friends and beginning a new journey. No two trips to Bhutan are ever the same, every experience is crafted to be special and leads to unique and beautiful photographic opportunities. 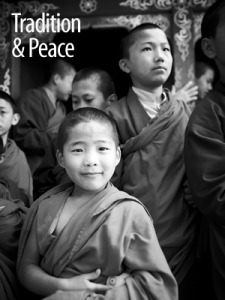 Bhutan is a place where kindness is everywhere, it feels like home." It's hard to express how grateful we are for the care in planning and guidance Ewen gave on our trip to Bhutan. At every turn he anticipated our needs, executed our desires and delivered beyond our expectations. Ewen goes where everyone else doesn't, allowing us to get a closer view and a deeper understanding of the people and the culture. 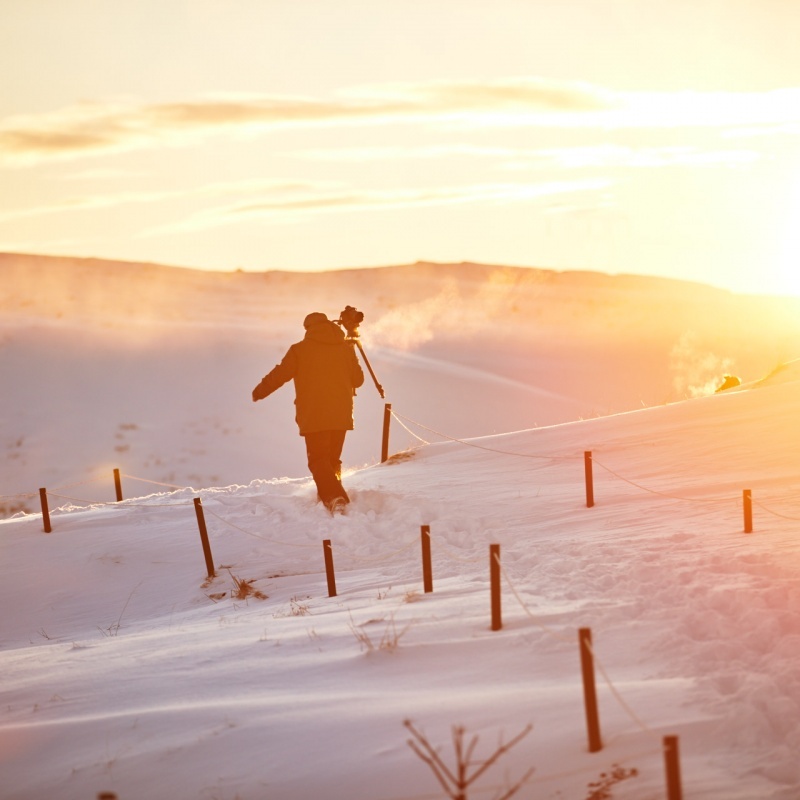 He takes time to make sure everyone can achieve amazing results with the light no matter what equipment they bring. 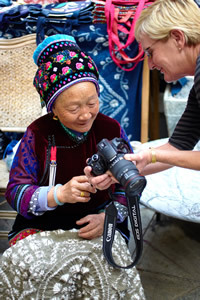 The hands on, personalized lessons gave both of us great new insights into what's possible for our travel photography. Above all, Ewen is the kind of person you would invite into your own home to share a great meal. He is kind, patient, knowledgeable and always wears a great smile. It's no wonder so many on our tour were repeat clients. We're looking forward to our next "follow the light" adventure with Ewen. - Melissa & Trent L.
The trip Ewen led to Bhutan in November 2017 turned out to be the perfect antidote to a healthy dose of burnout from work and life in general. I'd lost my photography mojo and hadn't picked up a camera in months; happily, the trip revitalised my interest in both photography and travel. 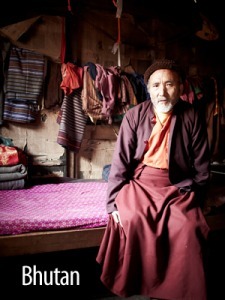 The team Ewen works with in Bhutan is fabulous, and I can't speak highly enough of them. Ewen himself is the perfect leader for a photography workshop. Not only does he plan the trip itself meticulously, but he has travelled so often in Bhutan that he gets you off the beaten track to find quiet gems of places where other tourists are few and far between. Ewen is extremely generous with his knowledge and love of photography. He has a quiet, gentle way of teaching people that is really lovely, and perfect for when he is dealing with a group of introvert photographers. I highly recommend travelling with him, particularly if it's to Bhutan. Ewen is a natural teacher. He wanted us to pay attention to the light so he took photos as demonstrations all the time. 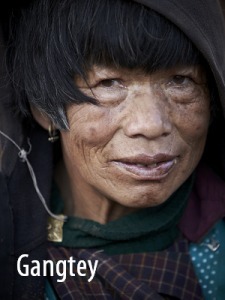 As a result we all came away with wonderful images of Bhutanese people with the light illuminating their faces. He was also very patient with the varying degrees of experience among the group; he worked with us one-on-one on both composition and post-processing. Ewen loves Bhutan! Therefore it was more than a photo workshop--it was also a cultural experience that he wanted to share with us. He could explain the different purposes of the buildings in a dzong, the basic tenets of Bhutanese Buddhism, and the customs of the country. The trip resulted in beautiful images, to be sure, but also lot more. Thanks again for a wonderful experience! Imagine a cultural tour where you have the opportunity to met with a reincarnated Buddhist Lama and hear his life story. 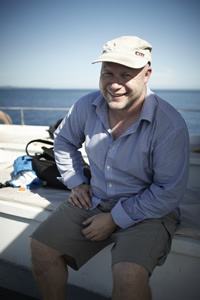 Add a world class photography instructor who ensures you capture great images and you have a Ewen Bell Photography Tour. 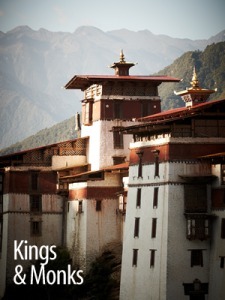 I recently returned from a Bhutan Tour with Ewen. His cultural knowledge and country contacts created many opportunities for us that many would envy. We had backstage access to festival dancers, invitations to tents at both festivals and the National Day celebration, and private meetings with not just one Lama but two Lamas. We visited small villages that seldom see tourist and we were invited into private residences. 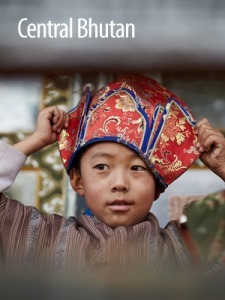 I came home with a deep respect for the Bhutanese culture and some great images. My best decision of 2015 was to join this photography trip with Ewen Bell and Ian Rolfe. This trip was really remarkable in various ways: the intense attention to detail in planning and execution, the 'hands on' help with the photography and the processing, plus the feeling throughout that we were able to get 'under the skin' of this fantastically beautiful country. Spending longer in one place, for example, during the Punakha festival, meant that locals became used to us and sometimes that curiosity blossomed into communication, which gave an extra dimension to the travel experience, and resulted in better photos. The visit to Gasa in the North was the first time I have ever travelled in a place where we saw NO other foreigners, and that was very special. The staff of Bhutan Scenic Tours, with whom Ewen has built up a unique relationship, fit the mould of 'perfect tour guide and driver'. Rinzi is equally passionate about the virtues of his country and in ensuring that guests leave with an equal appreciation. Nothing is too much trouble, and Kinza handled the car and our belongings as if they were eggs about to hatch. I felt so safe throughout. Between them, Ewen and Ian cover many aspects of photographic skill with diverse approaches and styles, which only benefits the client, as you have access to double the wealth of experience and knowledge, as well as strengths crossing more genres, eg, people, landscape and architecture, night photography and water. Come with an open mind, and it will be filled with ideas and images. Have no doubt that this is a trip of a lifetime, and that you will go home with a portfolio of terrific photographs, improved skills and memories to cherish." Hi Ian and Ewen, Firstly, I would like to thank you both for a really fantastic time on the recent workshop. Your enthusiasm, generosity and organization are awesome! We both had a wonderful time and learnt so much! I look forward to more trips with you in the very near future. Please add my name to your special mailing list. My feedback to you both is this... don’t change a thing!" 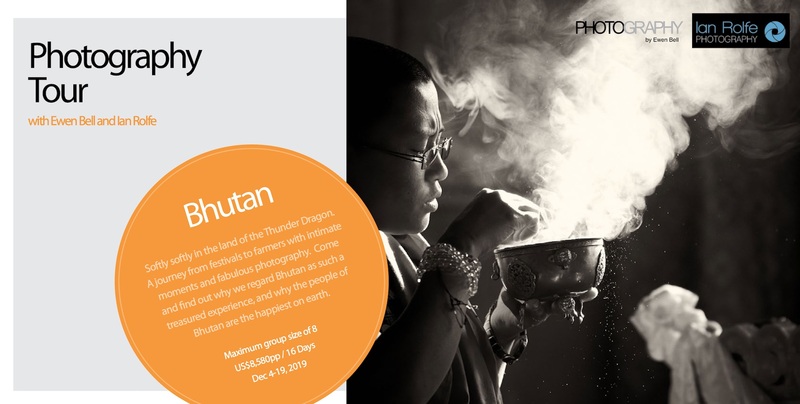 My trip to Bhutan in 2014 was my third photography tour with Ewen, and I knew I could relax and enjoy my photography, confident that everything would go smoothly and great photo opportunities would be provided. The landscapes of Bhutan are awesome and we had plenty of time to enjoy them by travelling slowly (of necessity on the narrow roads) and taking walks through the valleys and mountain forests. 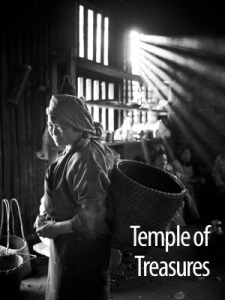 Our itinerary was designed to coincide with the annual temple festivals, which are a deeply cultural experience and a photographer's dream. In one village we had privileged access 'behind the scenes' and were able to fully immerse ourselves in the 3-day event. Ewen was on hand to provide helpful tips and his inside knowledge ensured that we were always in the right place at the right time. Our driver and guide were very friendly and helped to give us an insight into the unique culture and lifestyle of the Bhutanese. Our accommodation was clean and comfortable and the people everywhere were a delight, despite the language barrier. As we were advised in advance, the food was not very interesting, but that didn't matter as photography was the main purpose of the trip, and the results continue to evoke happy memories." Travelling to Bhutan with Ewen was an amazing experience all round--Bhutan is a stunning country with breathtaking scenery and dzongs/temples in dramatic locations; the Bhutanese are such lovely people--warm, friendly and usually very happy to be photographed. Our guide and driver were very professional and such lovely people. We definitely hit the jackpot with our guide, Rinzi, who was very knowledgeable, funny and had great people skills. But the best jackpot of all was travelling with Ewen and learning so much from him about the art of 'going slow, getting closer and letting the light lead you' and these 3 concepts will stick with me whenever I pick up my camera. Ewen is very passionate about photography, patient and a natural teacher who loves to share his immense knowledge of his craft, a trait which I found very refreshing in the increasingly commercialised world of travel photography tours. I learnt so many new techniques and a few things about my camera that made shooting even more satisfying, as well as picking up a few tips on processing of my images. I felt that we got to experience the 'real' Bhutan with Ewen--we certainly got into the heart of Bhutan and more, experienced some pretty amazing festivals and colours, and quite often we had some unexpected surprise which I loved, like chancing upon an archery tournament overlooking the rice terraces in Chimi, getting up close to see rice being harvested in the Jakar Valley in Bumthang, enroute to what was supposed to have been a short walk to a temple! If you are willing to slow down and go with the flow, a trip to Bhutan with Ewen will not disappoint. I came away with so many beautiful images of Bhutan and her lovely people, made some great friends on the trip and this definitely has been the best photography tour for me thus far. I'm now looking forward to the next one with Ewen!" Having travelled to China with Ewen Bell in 2011, I thought that was the best tour ever. But then came Bhutan with Ewen in 2012. Every bit as good, and maybe better. Superb guides, drivers, and hotels with schedules carefully planned to capture the best light and activities for the dedicated photographer. Honestly, I don't know how I would improve either of these experiences." Travelling to Bhutan is and will be an experience that I will never forget. Between the endless photo ops and expertise from Ewen and the tour guide, you are guaranteed to not only be deeply inspired, but also to come out a better photographer by the end of your trip. I thoroughly enjoyed my visit to Bhutan. The countryside is beautiful, quite breathtaking, the people warm and friendly. The dzongs and monastries are so impressive, in particular those at Punakha and Trongsa. It.s a trip of a life time. Ewen, I thank you for putting together such phenomenal trip to Bhutan. You were so enthusiastic, knowledgeable and seemed to genuinely care that group members got good photos, much better than leaders on other photo tours I have taken. We learnt how to use our cameras creatively and to always think of the composition. Now every time I look into the viewfinder, I'm thinking 'look for the light, be creative'. Thanks for an awesome time Ewen!" Travelling with Ewen on a photography tour is an amazing way to experience the temples, mountains, people and culture in some very beautiful and unique parts of the world. Nepal is full of gorgeous photo opportunities - from the chaos of Kathmandu, to the serenity of Chitwan National Park, to the breathtaking Himalayas, there are so many magical moments. The Bhutan research trip was truly out of this world. Landing in Paro was like stepping into another time and place or a movie set. Travelling around Bhutan was truly amazing, full of surprises, laughter and absolutely beautiful photographs. The entire country was full of colour, excitement and pride in anticipation of the royal wedding. Friendships formed made it even more special. Ewen's sense of adventure and passion for photography is so inspiring and his patience for teaching and sharing means that everyone gets great shots. 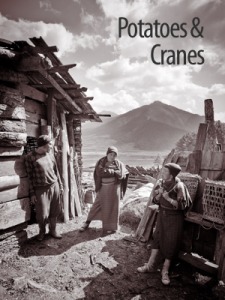 One of the best things about the material that Ewen publishes, whether it be a tour brochure, books, photo essays or articles, is that if you been part of a trip, whenever you see one of his photos, you're able to relive the journey again. " Bhutan is one of those completely different flying carpet adventures. I first went on a magic carpet ride with Ewen on his Australian Photography trip, and when offered the chance to go to Bhutan. It was never going to be a no. What makes this trip unique? The small group, getting to places not on the tourist maps, adventure of immersing yourself in a very unique culture. Plus; having Ewen there to pick his brain even on the smallest of photography tips is amazing. You could use all the cliché in the world to describe this trip, but I don't think they would fully cover it. In Bhutan, you are almost at the top of the world, enclosed by mountains. There is no better way to see it, then this. Expand your view of the world and learn a lot about photography at the same time from somebody with patience and passion for his trade. Oh, and the extra bonus you may even come out with some awesome happy snaps to relive your adventure and some pretty cool friends." If you have a few questions and want to chat to Ewen, just click the button below to complete the booking form and deposit. Once you've paid the deposit of $2,000 your place on the tour is confirmed. If you wish to upgrade to a single room we can add that to your booking as well.